A unique Ann Arbor hair salon with a friendly, fun, and lively environment offering custom cut and styling, color, treatments, hair extensions, and high-end hair products. Refreshing, cutting edge, creative and playful are all adjectives my clients’ use to describe the professional care that they receive when getting styled, colored or repaired. I offer a full range of hair styling services including Ombre, Sombre, Balayage, and Sahag Dry Cutting. I was educated as a hair care professional in Florida some 20 years ago, I keep up with the most recent trends, products and techniques in the industry through continuous training seminars, hair shows, fashion conferences. I have trained to be an educator for Toni & Guy and John Sahag in Michigan, with continuing education in Texas and New York. Five convenient ways to book or change appointments. The best way to ensure that you get the best choice of appointment times is to pre-book appointments in advance while you are here at the salon. I encourage you to try out my new online booking system. Click on the button below to go directly to my online calendar and book your next appointment. We now have a mobile app from Vagaro available for you to book new appointments, look-up existing appointments, get notifications, and change future appointments. 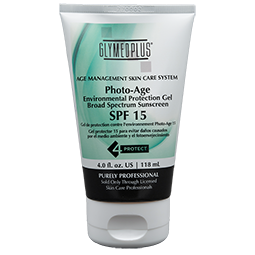 You can now order Glymed Plus products through my online store with FREE Shipping! 20% off all Glymed Products – good until May 1, 2019. Mention that you saw this on my website to get the discount. 20% off all Surface Products – good until May 1, 2019. Mention that you saw this on my website to get the discount.